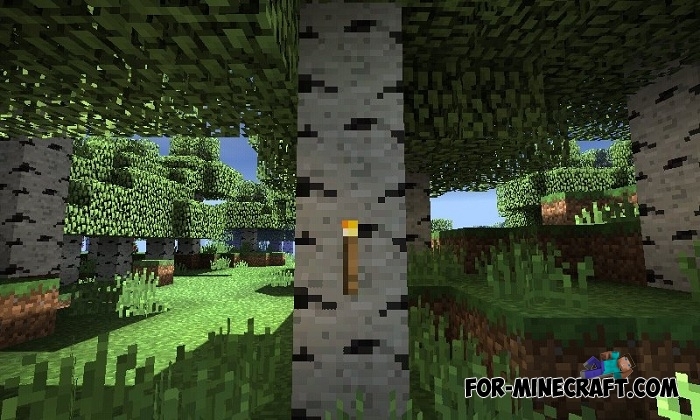 Needs are very bright and contrasting shaders for MC:PE that bring a realistic look to nature. The main advantage is the wide compatibility with almost all devices, and also the pack guarantees stable operation and high FPS even on older smartphones. 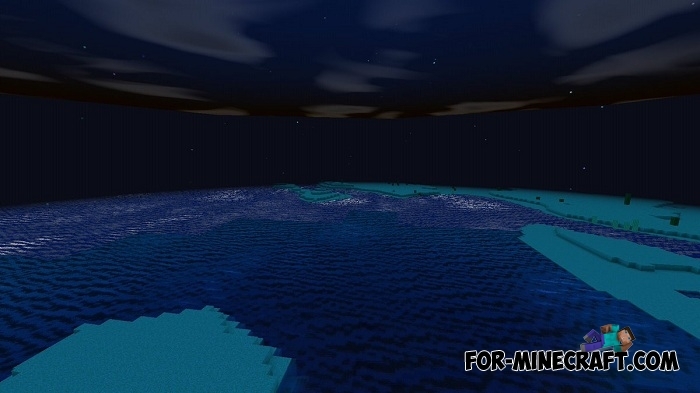 To reduce the load and the amount of memory consumed, the creator added only a few parameters such as realistic lighting, upgraded water and a new sky with sun and moon. 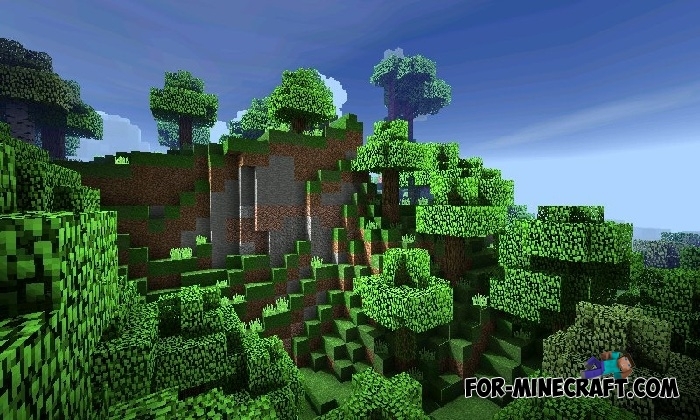 Support for Minecraft PE 1.2 (betas). 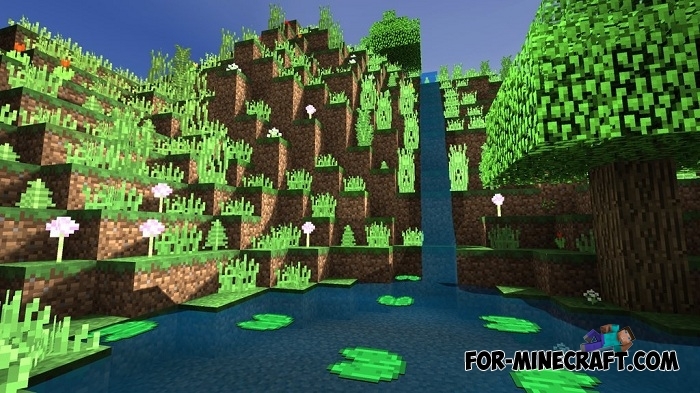 In general, the Needs shaders are mandatory for installation if you have a weak tablet and you want to see the beautiful nature without using textures. Do not forget about the brightness, it is very high and it will be difficult to look at the light blocks. For example, sand or snow turns white during the day, but everything will look fine after sunset. How to install the Needs shaders? 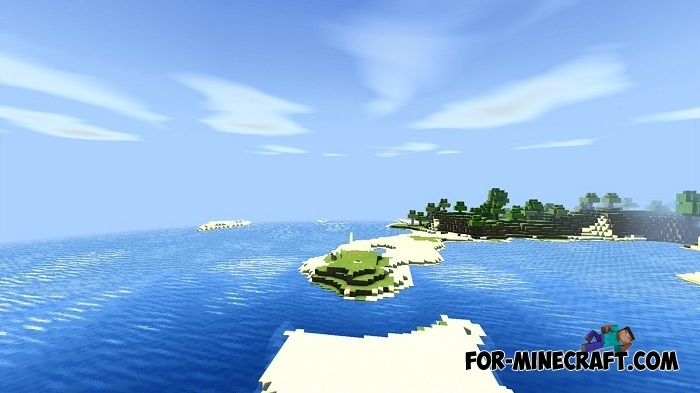 Download the shaders and open them using Minecraft. Go to the game settings and activate the pack.